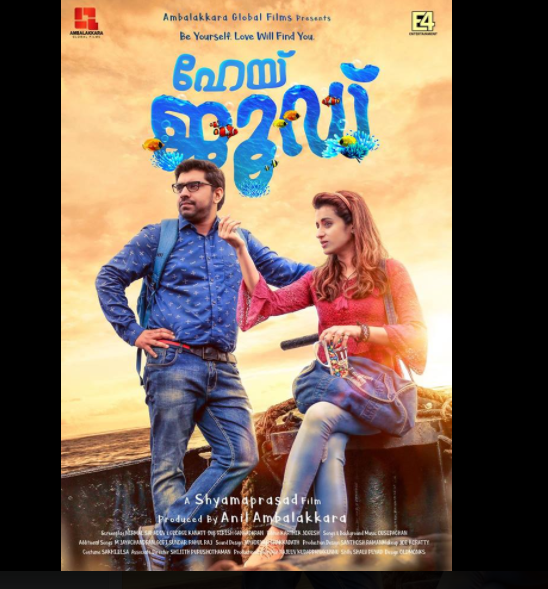 Acclaimed director Shyamaprasad's latest movie starring Nivin Pauly (as Jude) and Trisha (as Crystal) is a heartwarming love story of two completely different individuals who find a rare bonding of friendship with each other, helping the other to deal with the distinct quirks in personality. The story also touches upon a very important aspect of human life - no human being is perfect and it's okay to be different and quirky but you also need to find a support system and practical ways to overcome it. From scene 1, you can sense that Jude is different from other men of his age - his reactions are slow, unpredictable and borders on immaturity unless it has something to do with the topics that interest him - for example, marine life or oceanic pollution. There is nothing laughable or frivolous about Jude but this is exactly where Nivin Pauly's portrayal has consistently succeeded. For instance, Jude succeeds in making us laugh across several scenes in a good way, like in the brief scene with Aju Varghese, who asks for a lift and then begs to be dropped off mid-way. Another scene is where Jude repeatedly asks for 'crispy' appams but doesn't get what he wants and the 'talk' he gives about calories to the prospective bride, who offers him a laddoo are funny examples of Jude's illness but portrayed in a heartwarming manner. It goes without saying that Jude's story would be incomplete without the impressive performances by Siddique (as Dominique who cares only about making money), his mother Neena Kurup (as Maria who is forever worried that something is not 'right' with her son) and Vijay Menon (as Dr.Sebastian - the eccentric neighbour). Trisha, as the lovely girl next door, captures the vivacious Goan spirit of living life to the fullest as it comes, with a bottle in her hand, music in her veins and the beach in her heart. I like the fact that Crystal is being Crystal, not trying to fit into the typical Malayali definition of what a 'heroine' should be. But like every girl, there's a deep side to her that she herself has not known, which meeting Jude makes her confront for the first time and she is upset by the reality, which is why we also see a scene where her father tells Jude to stay away. 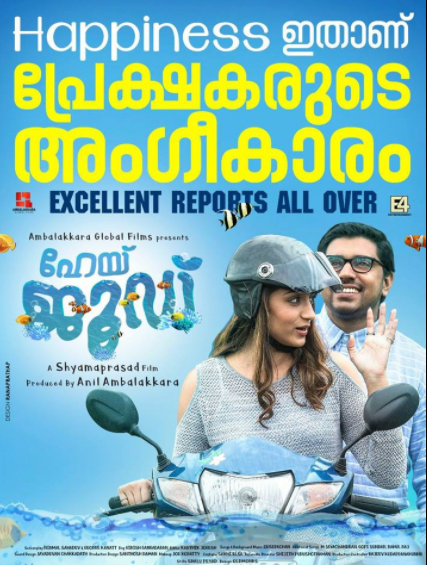 I thoroughly enjoyed Nivin Pauly's performance and would rate this as his best film since 'Premam' [Do read: Nivin Pauly conquers hearts in Premam]. A scene that touched me was where he is not sure whether to go for the beach party that Crystal invites him to. It's a very real dilemma for a normal guy and girl too. Minor flaws in the narrative raise questions such as why did the parents never acknowledge that Jude was not normal and not take their son to a doctor and why did they leave their daughter to manage their business in antiques when she is just a student who is facing the pressure of studies? While Dr.Sebastian infuses humour and 'life' to the Goan narrative, it makes me wonder why a doctor has allowed his life to waste away in getting drunk. His acts of rebellion are almost ridiculous and illogical, but we can excuse him for the fact that he is representing a man who is totally drunk. But when he watches personal tapes that belong to Jude without his consent - this is in violation of medical ethics but it is justified in the film and Jude's outburst, which is rightful, is played down. This is one vital aspect where the narrative failed 'Jude'. Dominic's death is another weak link in the narrative particularly the way it played out as though show that Jude is able to overcome his fear of water. Another thing that really got me wondering was that when Dominic dies and laid to rest in Goa, his daughter's absence is most striking, and therefore, when she says later to Jude, 'I miss him so much', it feels as though the essence of real life has been lost somewhere in the portrayal of relationships, only mere words remain. Other elements of the film deserve a notable mention such as the cinematography by Girish Gangadharan, each landscape capturing the minute details of the state's scenic vignettes. The music, however, is completely different from what one is used to in Shyamaprasad's movies. Four music composers worked together, coming out with different musical scores. For instance, you can feel swing to 'Hey Don't Worry Jude' and 'Rock, Rock' song, though both seem forced into the narrative. Ousepppachan's background score is soothing and it was nice to see the cameo appearance by the music composer. A more scientific approach regarding autism may have taken the movie to the next level - for instance, getting autism experts into the narrative to help Jude at earlier stages in his journey to highlight the importance of early diagnosis and treatment. At the end of the movie, everyone walked out with big smiles. It's that kind of a happy, feel-good visual treat which celebrates the quirkiness of human nature.